1. Wash brown rice, urad dal, fenugreek seeds 2-3 times. Add beaten rice and soak them for 6 hrs. fermentation. Add salt and mix well before making paddu. with lid). Cook in medium heat. and cook the other side. 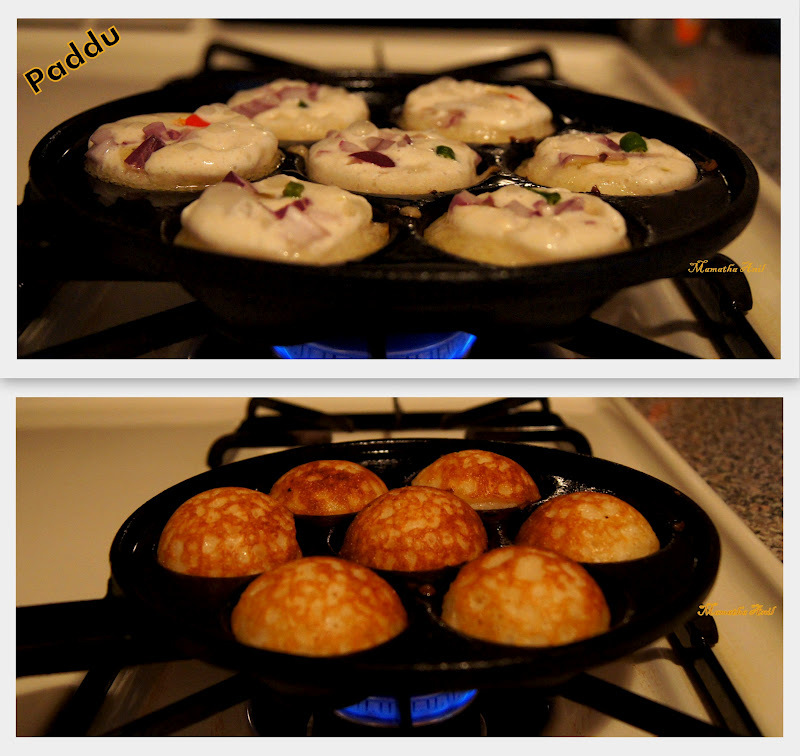 Remove the cooked paddu from pan. 5. Each time grease the cups before pouring the batter. 6. Serve hot paddu with chutney or sambar.